Song of the day: Dragon – "Love’s Not Enough"
Today’s song was requested by regular reader/commenter pb669 (Hi, pb!). After I posted a song by New Zealand Australian band Dragon, pb669 asked for another one. I’m more than happy to oblige. Dragon released this after they had begun their slow slide down the charts after their initial burst of success. 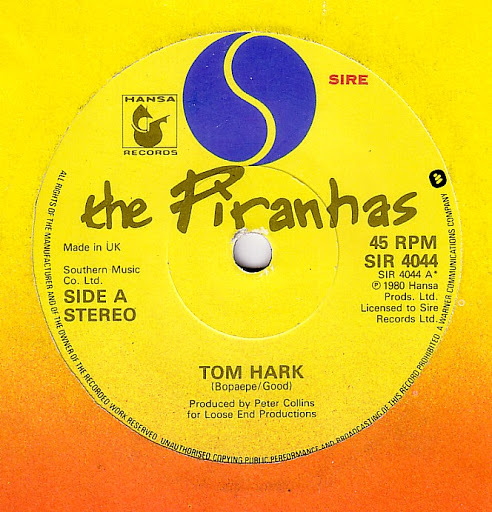 It was the first single to be released after they’d sacked their lead singer Marc Hunter and replaced him with somebody else. As far as the fickle Australian music industry was concerned, Dragon’s boat had already sailed. They had their three-year run in the Top 10, and that was that. Little did anyone know that ex-lead singer Marc Hunter would be reinstated a couple of years later, and Dragon would come roaring back up the charts with the irresistible “Rain” (which, rather handily, was Song of the day some time ago). Although I don’t think it’s a great song, I’m certainly not going to stand in the way of someone else (like pb669) enjoying it. You might like it much more than I did. Thanks, pb669, for giving people the opportunity to listen to something they probably haven’t heard before. Song of the day: Dragon – "This Time"
Before Dragon relocated to Australia and recorded a whole swag of superb pop songs, in New Zealand they were a not-so-successful prog rock band. It’s amazing what moving to Australia can do to a band. 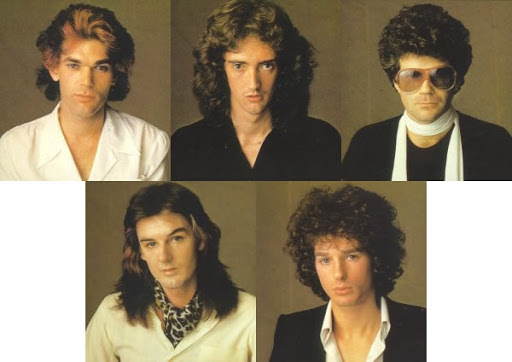 Song of the day: Dragon – "Rain"
Dragon had a fantastic run on the Australian charts in the mid-70’s, but by the end of that decade Dragon were pretty much a forgotten entity (their 1979 single, “Love’s Not Enough,” just scraped into the Top 40, peaking at 37). As the 80’s began, the hits dried up for Dragon. They had a break, then in 1983 decided to stage a comeback, and did so in the best manner possible: with a great song. “Rain” put Dragon back on the Australian charts in a big way (it peaked at number 2). And I’m glad it did, because Dragon were one of the great Australian Top 40 bands of the 70’s. Song of the day: Dragon – "Get That Jive"
If you want an example of superb songcraft, look no further than Dragon. They had a string of hits in Australia in the mid-70’s, were forgotten for a while, and then came back in the 80’s with a bang (their comeback single will be Song of the day another day). You can follow their epic adventures on Wikipedia. Just the first three paragraphs let you know you’re in for a wild ride. For example, you’ll read about how various members were either addicted to, or dead from, a variety of pharmaceuticals. And that Dragon started out as a prog rock band in New Zealand, and when they moved to Australia promptly metamorphosed into a pop band. And that they were named in an Australian Royal Commission as being implicated in an Asian drug syndicate. And much, much more. Dragon was a modern publicist’s dream (but a 70’s publicist’s nightmare).